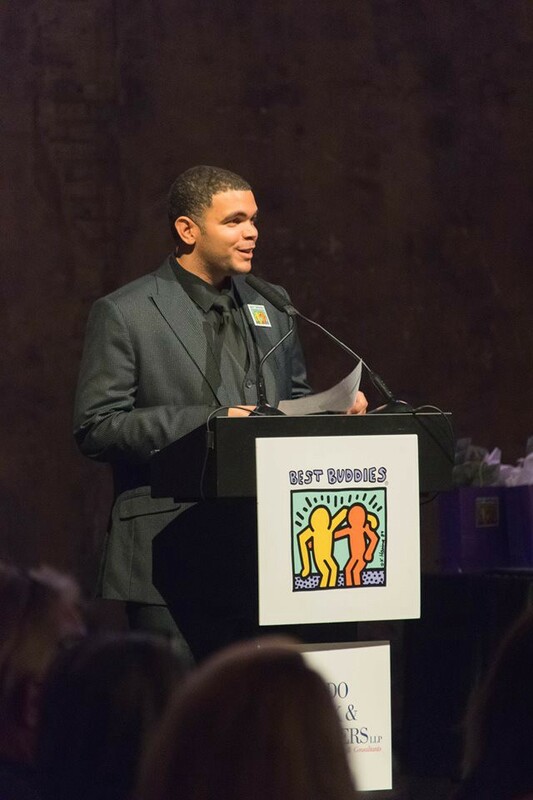 A testimony by Paul Brooks, a Best Buddies Global Ambassador, an employee at the Bellagio Resorts and Casino through the Best Buddies Jobs program, and a Best Buddies Nevada Board Member. Growing up being called called names because people thought I was different hurt me growing up, especially through my years of school. I was picked on almost every day. Coming home upset — wondering why I was called names like the R-Word — since I didn’t understand fully what the word meant; it used to make me feel numb and angry inside. To me, this type of interaction shouldn’t be normalized. It’s not okay. My disability is that I am Autistic, not the R-Word. And to me, Autism is Awesome!! The question I have for you is: how can you treat people differently? How can you make sure everyone feels included and like they belong. Try putting yourself in my shoes when I was younger; imagine that. I am sure that you wouldn’t feel good at all. But we can make it so that no one has to feel this way. Together we can make a difference and to influence our culture for people with disabilities, if we spread the word for inclusion! We have the power to use language that invites people in and encourages them to be themselves. Pledge your commitment to this goal by sharing why you choose to include; visit spreadtheword.global and #PledgetoInclude today! Using the power of sports as our driver, we are a global social movement dedicated to improving the lives of individuals with intellectual disabilities.